Inspirado Projecto produced a trifecta of Andy Kaufman-related whoppers leading up to May 16th, the Anniversary of when many believe the song-and-dance man of social sciences, faked his death in 1984. Beginning circa 2003, a group of curious game-players, entered into a “Puzzlementary” of Andy Kaufman. Interactive videos, websites, forums, blogs, Twitter accounts, etc, provided clues about Andy Kaufman faking his death. Some participants received cryptic emails or instructions on making specific videos to be featured in an “Andy Kaufman Reality Project”. There were Twitter contests and email addresses, where questions could be sent to (enrique@andykaufmanlives.com was one) and they’d be answered on AndyKaufmanLives.com. On May 8th, an article called: “Andy Kaufman’s Fake Death Archive Are Alive” was published. It contains a portion of the vast bibliography collected through the years (the other portion of the vast bibliography is found within a link in the article). These are the books mentioned on the episode written about Andy Kaufman. We mention a quote by reality hacker Bob Pagani, who introduced Kaufman to media hoaxer Alan Abel (who successfully faked his own death in the NY Times over a weekend). 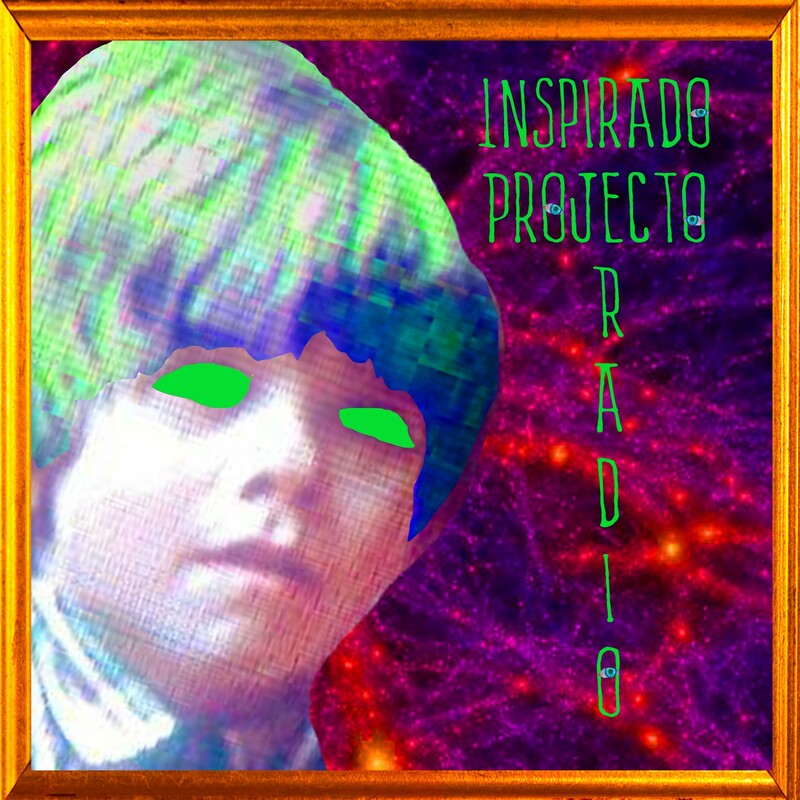 Then, on May 15th, Inspirado Projecto dedicated an hour and a half of radio programming on KCHUNG 1630AM in Chinatown LA, to Andy Kaufman songs and obscure bits of his, rarely highlighted. Station Manager Extraordinaire, Nicholas asked questions from the perspective of someone who is brand new to the Andy Kaufman Circus. A bunch of old memories and stories were shaken loose. The audio of this broadcast can be FOUND HERE! The ocular version of the “Kaufmania” episode was recorded while it streamed LIVE on Periscope, and can be VIEWED HERE! On May 16th, THE DATE of Andy Kaufman’s supposed death, Inspirado Projecto hosted a Google Hangout called: “Andy Kaufman Fake Death Afterlife Bonanza“. It began at 12:30pm and went to about 4pm PST. There were 9 various people in there at any time, spanning the entire “Andy Kaufman Faked His Death” timeline! Folks who participated with AndyKaufmanLives.com forums/message boards/etc since 2003, folks who got interested around 2007, and others who just recently found out about this fractal. It was packed with Kaufmaniacs/Puzzlementarians/Kaufmanites/etc galore: Amira Ball, Kenneth Lear, John Krauser, John Lundberg from documentary “Kaufman Lives“, Frank Nora, Max Dillinger, Brandon General, Guy Latham, Dori, John Carlos Pepe, PQ Ribber, Lucy Lawson and others. The idea was to broadcast it LIVE through Youtube while simultaneously archiving it for future reference. However, it was not recorded ocularly. Frank hopped on while he was recording his Overnightscape podcast, and was able to archive about an hour of AUDIO FOUND HERE! The good news is, we all were able to compare our stories and became more familiar with one another. It was a blast to compare stories and talk about the mysterious journey! If you have any specific information on how to easily host a Google Hangout event and simultaneously broadcast it LIVE/record it on Youtube for future reference, please email your answers to: inspiradoprojecto (at) geemayl . Tankuveddy much for your curiousity and entertainment!